There are so many beaches in the world. You can choose to go to crowded beaches that are filled with luxurious resorts, remote beaches that you have to hike to get to, or beaches that you have to take a boat to get to. A beach holiday is a great way to relax and here are 6 beach holiday ideas around the world. Orlando is in Florida and it is known for its fun theme parks. Rent a car and head an hour or two outside of the city and you can find some fantastic beaches as well. Vero Beach is two hours south east of Orlando and it is a fabulous beach that has a Disney Resort on it. Cocoa Beach is a great place for surfing and it is about an hour’s drive from the city. Here are 5 ideas of free places to take kids in Orlando. Kerala is a beautiful state on the south west coast of India and it is filled with lovely beaches on the Arabian Sea. There are plenty of luxurious places to stay in Kerala. Visit the small town of Kovalam and you will find the beautiful lighthouse on Lighthouse Beach and the stunning beaches of Hawa Beach and Samudra Beach. Varkala Beach is backed by a line of cliffs and the beach offers many amenities like beach shacks that serve fantastic food. Thailand is known for its beautiful beaches and it can be difficult to choose which area to head to. If you are looking for beaches to party on than Koh Samet is a great place to go. For quieter beaches you can head to Koh Yao Noi where you can engage in beach sports and you can go hiking on lush jungle trails as well. Cyprus is known for its beautiful beaches and it is a popular spot for honeymoons and destination weddings. Visit Aiya Naipa where you can stay at the beautiful Nissi Beach. You can enjoy many different water sports like snorkelling, boating and swimming. There are also lots of waterparks, and theme parks to explore. Cyprus is the world’s oldest maker of wine so be sure to try some of the local beverage. Fuerteventura is the second biggest of Spain’s Canary Islands and it is known for its more than one hundred and fifty breathtaking beaches. It is a popular destination for group holidays, and if you are thinking of going with friends then book transport from Fuerteventura Airport in advance so you can all travel together. Playa Esmeralda is on the Costa Calma and it is a stunning beach that has gentle waves suitable for people of all swimming levels. Aljibe de la Cueva is in the north west of Fuerteventura and you may find that you are the only one on the beach that day. El Caserón is a beautiful beach and you can easily get to it by public transportation. 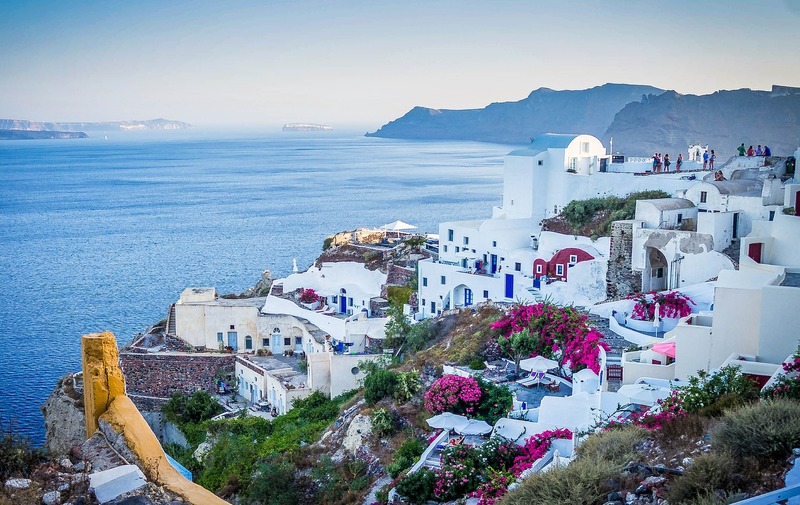 Santorini is an island in Greece and it is known for its stunning beaches that come in black and red, pebbles. Perissa Beach with its black pebbles has received accolades as one of the best beaches in all of Europe for its stunning views. Cape Columbo is a quiet beach that has few facilities but there are often few people there.